An accredited CNA program is the first step towards realizing your dream of becoming a nursing assistant. Throughout USA, several universities and colleges offer nurse aide training to the aspirants. But, all these training programs are not accredited. Completing nursing training from non-approved institutes is just wastage of both time and money. Accredited nurse aide programs follow all the guidelines, specified by US Federal Laws and meet the stipulations laid by the laws of the health department of the respective state. The programs might be of longer hours than the obligatory requirements. Along with theoretical knowledge, these classes also provide practical learning in the clinical settings. 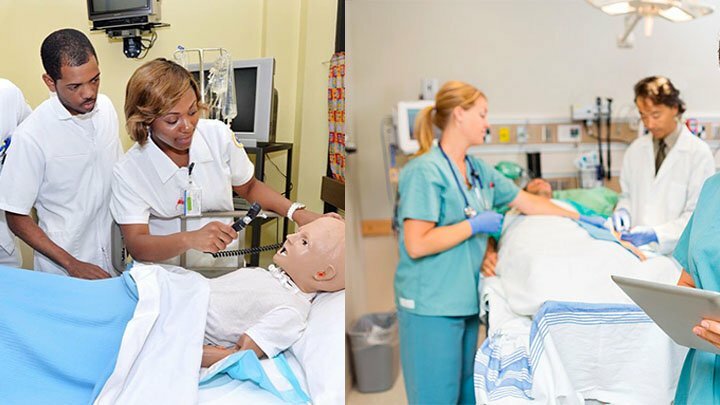 These classes use best standards for imparting skills to the prospective certified nursing assistants. Before appearing for the certification exam, accredited CNA classes takes several practice tests, thereby preparing you to qualify the exam in one go. The health departments of the respective states carry out a thorough analysis of these programs on a regular basis. Their name is removed from the department’s accredited program list, in case they find any sort of downside in the program. How to Select Accredited CNA Programs? Follow the below given steps, while searching for the best accredited nursing assistant school or program. Step 1- Do extensive research. Compare the coursework and syllabus of various colleges, before enrolling. Step 3- Check various parameters, like the learning environment, classrooms, teaching schedule and experience of the teachers. Step 4- Don’t choose any school on the basis if ranking or rating, because it is subjective and based on professors’ feedback, students’ reviews and test results. Step 5- Do not enrol in any program, merely on the basis of information generated by the website. Sometimes the website information is not reliable. Visit the school in person and then arrive at any decision. Step 6- Verify the fee structure and ensure that the college is not charging any hidden fee from you. You can get quality nursing assistant training just by paying a nominal fee. You can appear for certification examination conducted by the concerned state. Students can also pass the exam in one attempt. Accredited schools also provide placement assistance and financial assistance to the students.